If you're lucky enough to be getting married this Summer, or going to a Summer wedding, this is the perfect time to create romantic memories. Vintage jewellery has a special loveliness and romantic appeal. Each piece of vintage jewellery is unique with its own evocative aura, which will make sure you always remember those special days. A special occasion needs a special brooch. When buying vintage jewellery, find out the history of the brooch from the seller, and write it down. 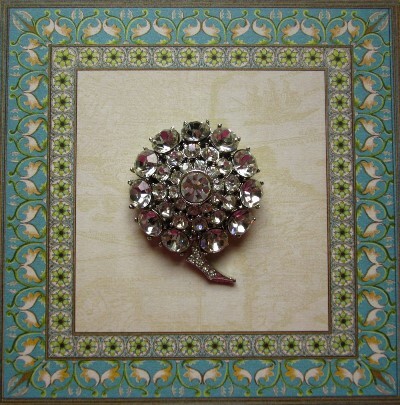 Buy a special vintage card, or make a card yourself to record the day you bought your special brooch, along with the history of it, so it will always be remembered. Create your own history of this special piece of vintage jewellery by collecting wedding pictures showing occasions it has been worn, so it can become a family heirloom. Don't forget to write down the different occasions, who wore it and when, and create a family scrapbook or a memory box to cherish these happy days. There are many different ways to wear a brooch. 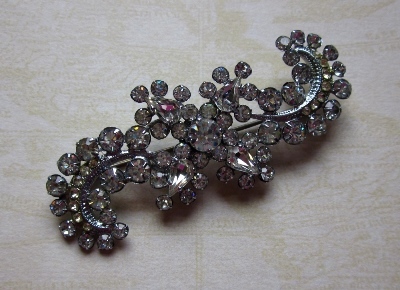 Don't restrict the wearing of your treasured vintage brooch to only being worn on a dress or a coat. Use it with scarves - if you tie a scarf around your handbag, secure it with your brooch. This can be especially lovely for a pretty wedding bag if you make a bow with a pretty vintage chiffon scarf. You can also buy vintage brooches for other special occasions, such as 18th birthdays or as a christening gift for a girl, or as special gifts for your girlfriends. 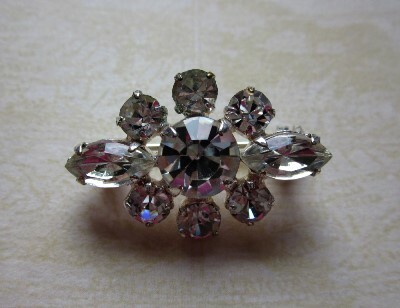 And don't forget your bridesmaids, they would love a special vintage brooch too. It is also so lovely to give grandma or great-grandma a scarf pinned with a gorgeous vintage brooch, something with a bit of sparkle, because lots of us have very glamorous grandmas, who would love the indulgence of a special piece of vintage jewellery. Girls, have you ever fallen for a piece of vintage jewellery? So often, buying vintage jewellery is an emotive buy, it is special, it can speak to you. If you find a piece of jewellery you love, buy it, because you will never see it again and you can always find a unique way of wearing a brooch. Create special memories that can be treasured for years to come by wearing your brooch often and taking pictures of those occasions for your scrapbook or your memory box. Nothing can compare with actually opening your memory box or exploring your scrapbook with the next generation, it's a delight to share your cherished memories.